Since 2008, the lawyers of Robertson Law have taken a leading role in fighting major legal challenges in Washington State. It is an important distinction that sets us apart from other firms. In 2015 Ryan filed "amicus" briefs on behalf of the Washington Foundation for Criminal Justice in two court cases challenging the admissibility of breath alcohol evidence and sobriety test evidence. In State v. Mecham, (Case No. 90598-3) Ryan argued that the standardized sobriety tests commonly used in Washington State DUI investigations invades constitutional privacy protections requiring law enforcement officers to obtain a warrant before administering the tests. Furthermore, if a person refuses to perform the tests, absent a warrant the refusal cannot be used as evidence at trial. In State v. Baird-Adams, (Case No. 90418-7) Ryan argued that the breath alcohol test administered in Washington State (i.e. DataMaster) also constitutes an invasion of constitutionally protected privacy requiring law enforcement to obtain a warrant before administering the test. Furthermore, if a person refuses to perform the test, absent a warrant the refusal cannot be used as evidence at trial. Ryan was subsequently asked to present oral argument and appeared before the State Supreme Court on May 12, 2015. The Supreme Court has yet to issue rulings on these cases. In 2014 Ryan filed an "amicus" brief to the State Supreme Court on behalf of the Washington Foundation for Criminal Justice arguing that the Court must restrict law enforcement testimony regarding certain kinds of sobriety testing to ensure DUI defendants receive a fair trial. A common sobriety test performed during a DUI investigation is the horizontal gaze nystagmus test (HGN). Law enforcement officers and prosecutors attempt to use the results of this test to establish the officer's opinion a driver is impaired. In the case State v. Quaale, 182 Wn.2d 191 (2014), the Supreme Court agreed with Ryan's analysis that the results of the HGN test may not be used to directly establish an opinion of impairment. "Here, the testimony in question is distinguishable from that in Heatley because Trooper Stone's opinion was based solely on the HGN test, which is expert testimony subject to our decision in Baity. As has been explained, the HGN test can indicate the presence of alcohol in a suspect but it cannot establish impairment. In contrast, the officer in Heatley based his testimony on observations of the defendant, such as the defendant's unsteady balance, the defendant's bloodshot eyes, and the odor of alcohol on the defendant's breath. A lay witness may express an opinion on another person's intoxication when the witness had the opportunity to observe the affected person. Id. at 580, 854 P.2d 658. Unlike the officer in Heatley, Trooper Stone based his opinion on expert and not lay testimony, and in doing so, he gave impermissible opinion testimony that constituted an improper opinion on guilt. This improper opinion on guilt violated Mr. Quaale's constitutional right to have a fact critical to his guilt determined by the jury." State v. Quaale, 182 Wn.2d 191 (2014). In 2011, Ryan filed a challenge in the Court of Appeals to Washington's 2009 statute which now requires drivers to waive their right to appeal a license suspension in order to obtain a limited license to drive called an "ignition interlock license." The appeal alleges that this law violates due process and equal protection rights of drivers, who must make the Hobson's choice to forego their right of judicial review to obtain the privilege to drive once their license is suspended. A decision was published by the Court of Appeals, Division One, on September 30, 2013. You can read the Court's published opinion HERE. In January 2008, Andrea was one of three lawyers who took part in a massive challenge exposing systemic fraud and poor scientific practices in the Washington State Toxicology Laboratory. As a result of a nearly two week long challenge, an unprecedented ruling was handed down by a panel of three judges in the King County District Court. The decision was widely covered by local media. The ruling resulted in the suppression of thousands of breath test results in DUI-related arrests for over two years in King County. When the three judge panel was reconvened in 2010, Andrea was again part of the same three lawyer team which addressed the changes to the Toxicology Laboratory since the original litigation. While many improvements and upgrades had been made to the scientific process of the Lab, the focus of the 2010 litigation shifted to attacking the presentation of breath test values to a judge or jury in the absence of uncertainty of the measurement. Uncertainty is similar to the concept of "margin of error." The true value of a measurement (in this context, the true breath alcohol concentration of a defendant) can never truly be known. Even the best and most accurate instruments can yield only an estimate of the true value. Uncertainty expresses the range in which the true value of a measurement is likely to occur. The King County District Court panel issued the first decision of its kind in the nation, requiring the State to present evidence of measurement uncertainty when introducing breath test results. The State has appealed this ruling, and Ryan is co-counsel for the defense on appeal. We expect that the State Supreme Court will review this issue in the near future. 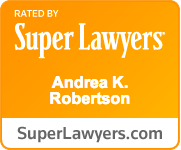 In 2009, Andrea joined forces with four other attorneys, in a Statewide challenge to the issuance of traffic camera infractions in cities throughout Washington. Filed as a class action lawsuit in King County, it was soon moved to federal jurisdiction, based on the combination of both municipal defendants and corporate defendants (the two corporations which produce and maintain red light camera equipment in various jurisdictions). For over a year, the lawsuit was heavily contested and wound its way through federal district court and the 9th Circuit Court of Appeals. While ultimately the suit was dismissed, the lawsuit brought awareness to the public of the unjust implementation of this technology. Since that time, some cities have abandoned their camera infraction programs, and others have scaled back their use of the technology.